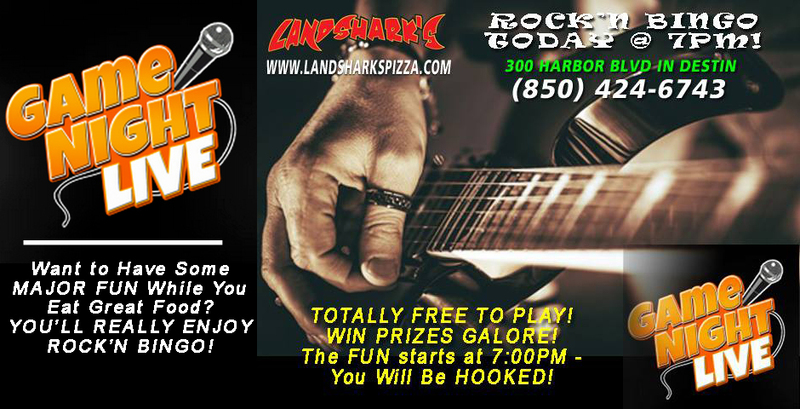 / Destin Sports Bar / Rock’n Bingo in Destin FL TONIGHT at Landshark’s! Rock’n Bingo in Destin FL TONIGHT at Landshark’s! GET READY TO CHASE AWAY THE RAINY DAY BLUES WITH ROCK’N BINGO TONIGHT AT LANDSHARKS @ 7PM! 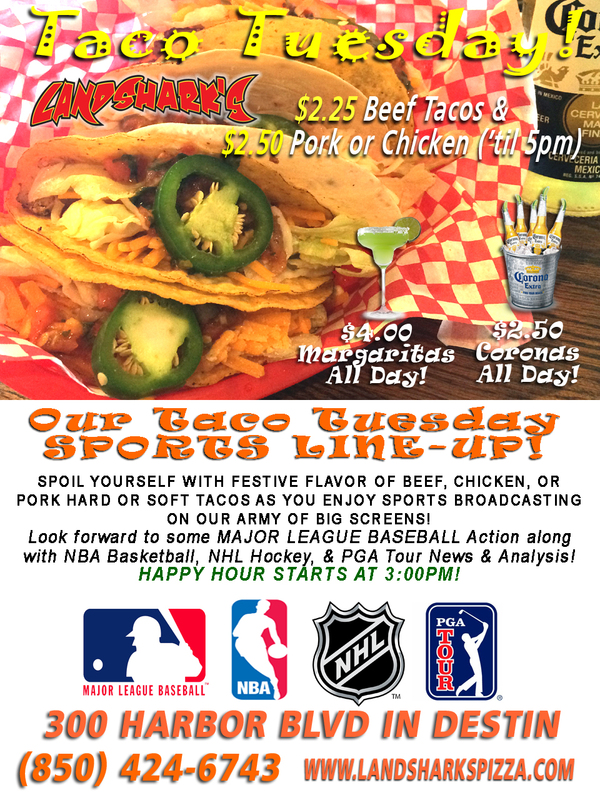 FREE TO PLAY – FREE PRIZES, GREAT FOOD & DRINKS! 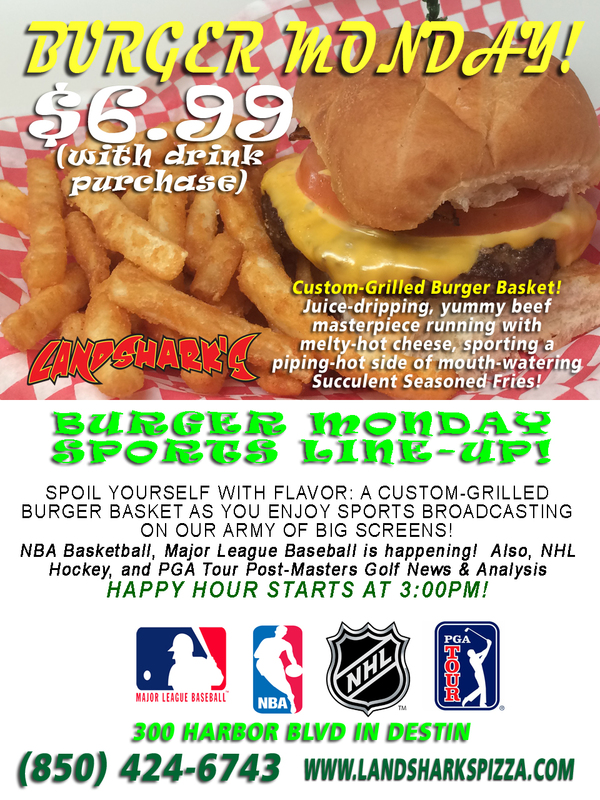 Previous Post: « Burger Monday in Destin – $6.99 Landshark’s Custom-Grilled Basket!